Jiangsu is a coastal Chinese province north of Shanghai. In the south, the city of Suzhou is renowned for its elaborate gardens. On its outskirts lies the neighbouring city of Wuxi. The city of Wu Xi belongs to Jiangsu province. Jiangsu is home to many of the world’s leading exporters of electronic equipment, chemicals and textiles.It has also been China’s largest recipient of foreign direct investment since 2006. Jiangsu is rich in cultural traditions and well known for its silk, Chinese embroidery, jasmine tea, stone bridges, pagodas, and classical gardens. 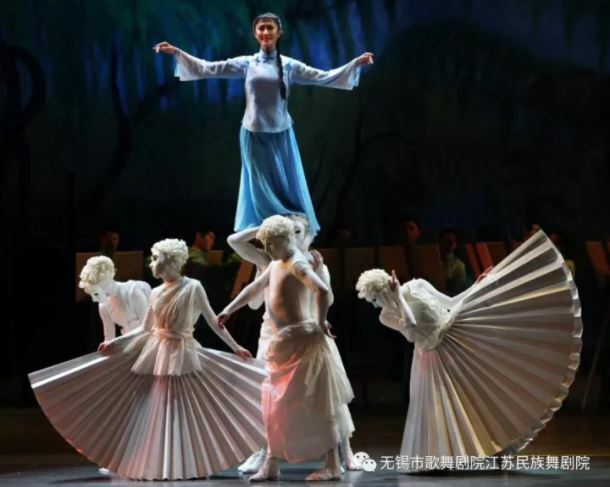 A mainstay of the Chinese cultural landscape “The China Jiangsu Wuxi Song and Dance Troupe”, ( Formerly Jiangsu Folk, Song and Dance Institute) was established in 1958. With more than 150 artists and staff, the institution has produced a large number of traditional and contemporary programs in recent decades and continues to successfully represent the culturally rich Yangtze River Delta region of South China. It has earned tremendous popularity and many awards nationwide. The Troupe has been repeatedly invited to appear on Chinese television (CCTV and TV stations in Beijing, Shanghai, Jiangsu, Zhejiang, Fujian, Guangdong, Xinjiang and Ningxia) and to participate in major performance activities such as the Spring Festival and the Lantern Festival Gala that are huge cultural events in the Chinese calendar. The troupe has also been a regular representative of Chinese arts abroad with delegations visiting the United States, Canada, Germany, Switzerland and Russia. In all the troupe/institute has visited more than 30 countries and regions including: France, the United Kingdom, the Netherlands, Egypt, Israel, Morocco, Turkey, Tunisia, Japan, Singapore, South Korea, the Philippines, Australia, New Zealand, Austria, Colombia, Belgium, Indonesia, Cambodia, Taiwan, Hong Kong and Macao ; for cultural exchanges and performances.